Can't fault them. The facilities and service have been great. Clean, well ventilated units. Secure, 24hr access. Friendly helpful team. Competitively priced, especially for a central location. Will use again. 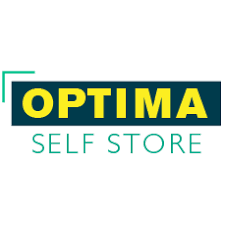 I rented a unit at Optima Self Store for 18 months and can thoroughly recommend the facility. The units are in excellent condition (mine was new) and the site is clean, tidy and very secure. The 24/7 access works well, and everything ran trouble free. At the end of my rental the deposit and rental refund was paid back into my bank account within 1 day. I have no hesitation in recommending Optima to anyone looking for self storage. Excellent facility would highly recommend. Very clean units and 24hr access with high level of security. We used Optima for storage of furniture between houses and it was great. Very smart and easily assailable site, with friendly and knowledgeable staff. Would highly recommend to anyone!